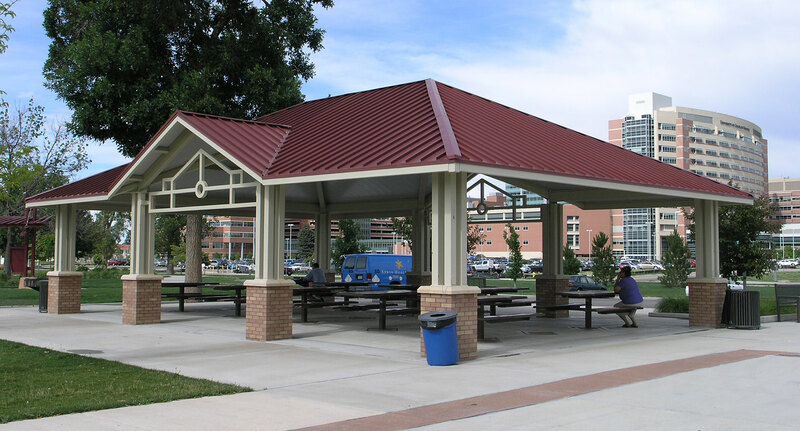 Our most popular model features a practical and attractive hip roof design that sheds water efficiently and provides excellent shade. Available in a wide variety of shapes and sizes: square, rectangle, “U” and “L” shapes. Shade a single picnic table, cover a playground or an entire basketball court. 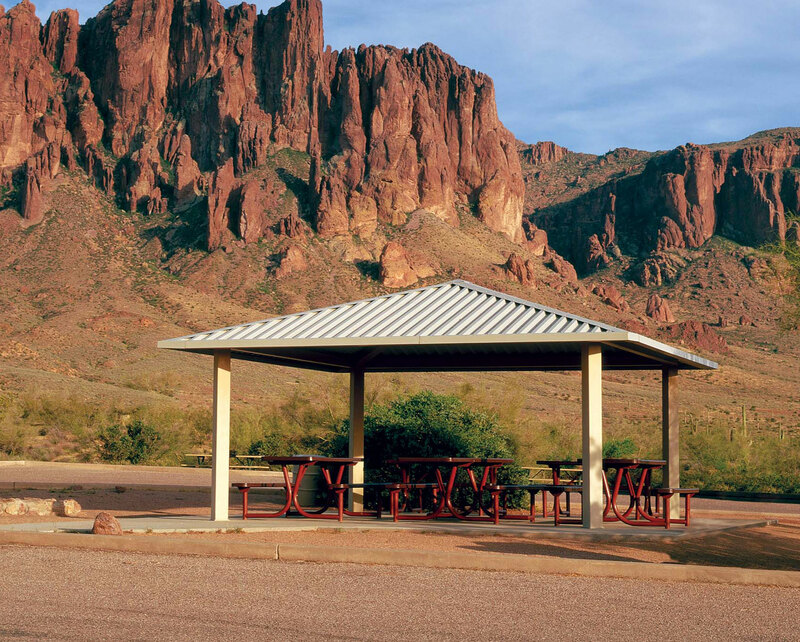 Lost Dutchman State Park, Apache Junction, AZ: A structure as rugged as its surroundings, this 20′ x 20′ Mesa model awaits anyone needing a little shade and awesome scenery. 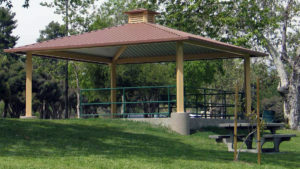 Shown with Parchment-colored HR-36 steel roof.